Our Officers and Board of Directors are volunteers who work tirelessly to make our Art Club a success. If you are interested in volunteering or have an idea you would like the Club to explore, let us know. Our Executive Director along with the Administrative Assistant handle the day to day functions of the Club inside and out of the office. Please feel free to contact any of them if you have any questions. Rosemary has a background as both a Scientist and a silver and goldsmith. She has always loved both art and science, and has always pursued artistic endeavors in her spare time, regardless of the scientific positions that she held. After receiving a Ph.D. in Molecular Biology from Tufts University, she started her scientific career as a Biochemist/Immunochemist, at the Clinical Assays division of Baxter International. She directed the development of several clinical immunoassays for drugs and hormones, before moving on to a start-up, Medical and Scientific Designs, which developed and marketed a unique automated immunoassay processor. She ultimately became the Director of Research for the company, before she relocated to New York. In New York she pursued a lifelong dream of working professionally as a silver and goldsmith, having spent many long hours after work in Massachusetts learning her craft at the Decordova Museum School, and subsequently full time for 1 ½ years at the Museum School at the Boston Museum of Fine Arts. She and a partner opened Afformations, a small jewelry design and fabrication company, which they ran from 1990 to 2000. When they closed the company, Rosemary returned to the world of Science as the Head of Business Development for the New York Biotechnology Association, followed by holding the position of Vice President at Parseon, a small bioinformatics firm, from which she retired in 2012. Camy is an artist, author and illustrator. She was born and raised in Milan, Italy until she moved to the United States in 1995. Since a very young age she was inspired by art, writing and animation (no wonder Walt Disney is her mentor!) Both of her parents were also artists and her mom was a theater actress. Camy started her career as a children’s book author and illustrator about ten years ago while living in a small island of the Bahamas with her husband and their youngest children. She wrote, illustrated and published her first picture book “The World of Happy, Let’s All Be Friends” and because of her artistic talent, she was asked by her children school’s Principal to teach art classes to the elementary students. Camy spent the next few years in collaborating with the school with art projects and fundraising events. After the family moved back to the United States, first California and later back to Florida, Camy also immersed herself into painting, especially acrylic and mixed media. Creativity helped her overcome challenging times and so she became interested in art therapy classes. She took a few courses and became certified in “Therapeutic Arts”. She was offered to volunteer here in Vero Beach, FL at “The Source” poor and homeless shelter, to help their clients cope with their struggles and relieving them through art therapy classes. Camy shared her passion for “doodling” and her new “Intentional DoodlingTM” activity. She still writes, paints and freelance as an illustrator, although one of her main goals is to complete her pitch for “The World of Happy” animated TV series. After finishing college as an English major in liberal arts, I taught elementary school, then moved on into business. Beginning in sales- marketing with a fortune 500 corporation, I soon advanced into management. After 10 yrs, I switched careers and joined a family owned company as Gen. Mgr., handling mergers and acquisitions. Five years later I joined an ergonomic manufacturer selling and promoting ergonomic seating and workstations. Within a few years, I was owner and President of the Work-Rite/Sit-Rite Co.
Art, golf, and travel are personal passions, that coincide with precious family time. Creatively, my hobbies include photography, which has evolved into oil painting. Currently my oil paintings tend towards realism, abstract realism, and color experimentation. Dorothy Napp Schindel was born and bred in New York City. 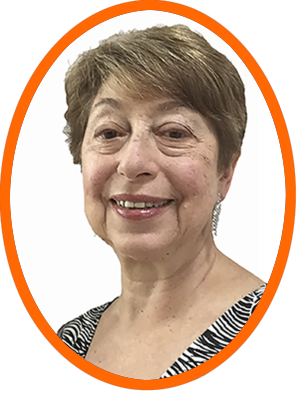 A graduate of Columbia University, she had a long career as a theater educator, director and scenic designer. 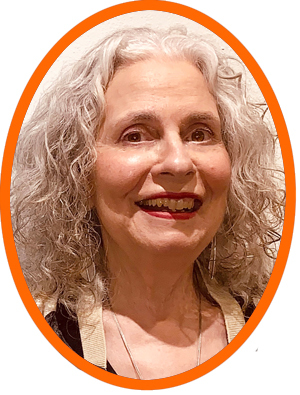 She holds an undergraduate degree in theater and master degrees in both theater and museum education leadership, taught acting at New York University and is the award winning author of two books on the uses of theater in educational settings. For many years she served as the artistic director of DramaMUSE Associates, a museum theater consultancy company that created drama based interpretive programs and interactive theater productions for major museums – such as the Metropolitan Museum of Art and the Smithsonian's National Museum of the American Indian. Dorothy studied painting/drawing at the renowned Brooklyn Museum Art School and School of Visual Arts, collage at Cooper Union, and set design at the Lester Polikoff Studio and Forum of Stage Design. A board member of numerous arts and history organizations, she was the director of an historic quarry museum in Massachusetts, and in 2007 became a founding artist-owner of Gallery 14 - where she shows her award winning collages and is Manager of Publicity and Public Relations. My career in the fine arts spans several decades beginning with two degrees: Bachelor of Fine Arts and Bachelor of Science in Education. Through the years I have taught and worked in a variety of media: drawing, print making, sculpture, and oil painting. My medium now is Precious Metal Clay ™ a unique clay-like material of .999 pure silver. Its malleability allows my jewelry designs to range from the whimsical to the decorative to wearable art; dramatic ‘statement’ pieces to smaller, delicate pieces creating sophisticated and unique wearable art created with the priceless durability of pure silver and 24kt. Gold vermeil. Rae Marie Crisel grew up in Kansas. After college, she spent a career in Indianapolis as a scientist and director for a large corporation. She and her husband also own a large farming operation, where they raised a family. Upon retirement, Rae Marie embarked upon her career in the arts. She specializes in functional pottery collections that reflect both her plains heritage and the ocean environment. She features natural colors and images such as sunflowers, waves, and palms on her themed series. In addition, her wood fired series uses natural hardwood ash as the primary glaze material making each piece unique. Rae Marie’s paintings reflect both plains and Florida landscape scenes. She loves plein-aire painting, and she takes photographs and makes sketches on site to catch the “spirit” of the subject. She can be reached at 317-670-5456, or through E-mail at criselcreations@gmail.com. Her work is also displayed at Flametree Gallery on 14th Ave, Vero Beach, FL. In 1965 I started learning to be a silversmith. Immediately I enjoyed it and saw the benefit for my lifestyle choices. I happily got caught up in the “Studio Jewelry Movement”. I studied with some of the established contemporary jewelers of the day, Conrad Gesuny (1931-2007), Bill Tendler (1906-1973), Sammy Gee (1932 -1980) and Byron Wilson (1918-1992. I am a hand fabricating jeweler working directly with the metal. All my work starts off as sheets and wire of different gauges. By sawing, hammering, filing, polishing and many more forms of manipulation I am able to create my pieces of jewelry. I work in Sterling and 14K Gold. I also use precious and semi precious stones to enhance my work. My style is feminine, often fanciful and beautiful yet it is demanding and strong. A certain antique appearance can be seen in most of it. I have successfully made a career of this art form my entire adult life, supported myself and raised my children from it. I have been doing graphic design and websites for over 17 years. I enjoy photography, jewelry (bead stringing), and painting. It has been a true pleasure meeting our talented artists and getting to know everyone. I have also enjoyed creating/evolving our new website. My goal is to have a wealth of information on the internet and showcase the amazing artwork our artists create for our community, shows and sales. Please be sure to visit all of our events to see the wonderful talent blossoming here on the Treasure Coast. General Club Meetings are the first Thursday of the month and the Board Meetings are held the 3rd Wednesday month. Board Meetings are from 10:00 am - 1:00 pm.